The US space agency, in partnership with asteroid-mining firm Planetary Resources, said Monday it will give away $35,000 in awards over the next six months to citizen scientists who can develop improved algorithms to find space rocks that could pose a threat to our planet — or at least be of interest to scientists and cosmic mineral prospectors. The first contest in the series will kick off on March 17. Prior to the kick off, competitors can create an account on the contest series website and learn more about the rules and different phases of the competition. Managed by the NASA Tournament Lab, the entire contest series runs through August and is the first contest series contributing to the agency’s Asteroid Grand Challenge. The idea behind these planned contests is that humans tend to be better at pattern recognition than computers. If the wisdom of crowds can be enlisted to find more of the millions of potentially threatening (or potentially valuable) asteroids that are thought to be out there, that's great. And here's where the NASA partnership comes into play: Planetary Resources has agreed to facilitate the use of sky-survey data for the asteroid search, and then help NASA with a competition that will follow up on the asteroid hunt. The Asteroid Data Hunter contest series challenges participants to develop significantly improved algorithms to identify asteroids in images captured by ground-based telescopes. The winning solution, said the agency, must increase the detection sensitivity, minimize the number of false positives, ignore imperfections in the data, and run effectively on all computer systems. Chris Lewicki, President and Chief Engineer of Planetary Resources, said current asteroid detection initiatives are only tracking 1% of the estimated objects that orbit the Sun. 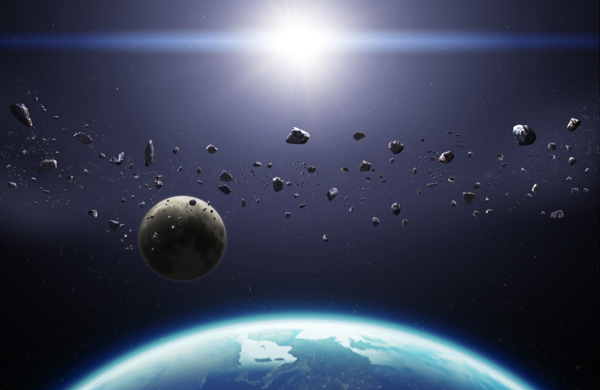 he added the firm is excited to partner with NASA in this contest that can help increase the quantity and knowledge about asteroids that are potential threats, human destinations, or resource rich. The algorithm contests are managed and executed by NASA's Center of Excellence for Collaborative Innovation (CoECI). CoECI was established at the request of the White House Office of Science and Technology Policy to advance NASA open innovation efforts and extend that expertise to other federal agencies. CoECI uses the NASA Tournament Lab (NTL) for its advanced algorithmic and software development contests. Through its contract with Harvard Business School in association with Harvard's Institute of Quantitative Social Science, NTL uses the top coder platform to enable a community of more than 600,000 designers, developers and data scientists to create the most innovative, efficient and optimized solutions for specific, real-world challenges faced by NASA.